Thanks for your interest in The Old Post. If you’d like to learn more about available space for lease, or contribute ideas to the building revitalization, we’d love to hear from you. We are actively collecting stories about the historic Harriston Post Office to capture the prominent place this building has in the history of our community and its citizens. Please use the contact form to submit your story or memory and we’ll be in touch. For information on leasing space at The Old Post, please call 519-291-0538. 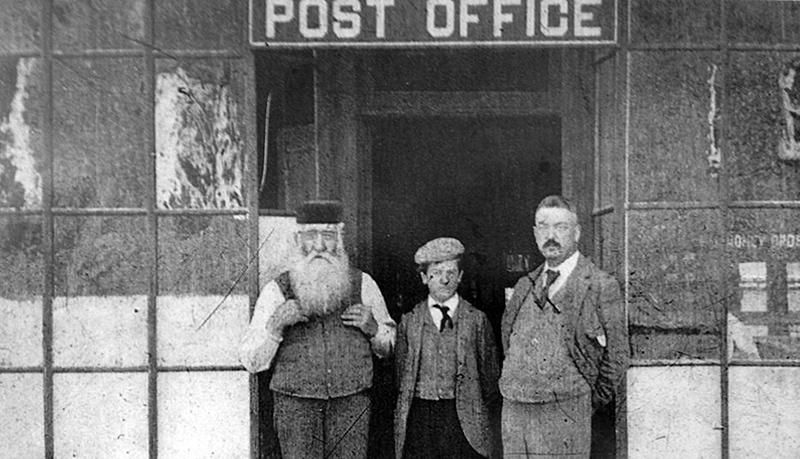 Photo above: Three generations of Harriston postmasters – Alexander McCready, his grandson Archie McCready, and his son Robert McCready – in front of one of the town’s original post office buildings.